Willis INFINITI in Des Moines is here to help you out with all your auto service and repair needs. Our certified technicians are well-trained to diagnose and fix any kind of problem with accuracy. Whether you need standard maintenance or more extensive repair work, our Des Moines INFINITI service and repair center is always ready to serve you. Drop by our dealership or you can even schedule an appointment online! Get in touch with us at our INFINITI auto service center in Des Moines. Norwalk customers can be sure that their vehicles will be properly taken care of, thanks to the latest tools and equipment we have. We will make sure your vehicle gets back on the road in minimum time and hassle at our INFINITI repair center in Des Moines. 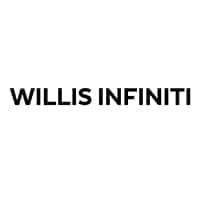 We always ensure that our customers have a pleasant experience at Willis INFINITI.